Parking lot accidents happen all the time. The combination of vehicles, pedestrians, cyclists, shopping carts, medians, and tight driving lanes make them a potential recipe for disaster. Considering all the factors in play, it’s no surprise parking lot accidents happen. Parking lot accident statistics show they are more common than most realize. About 1 in 5 accidents happen in parking lots. Almost all of them are avoidable. While most parking lot accidents are minor and involve low speed impact, they can still result in serious damage and injury. Parking lot accidents can also have a big impact on your car insurance rates – a reason why many go unreported and parking lot hit and runs are common. In this post, we will take a look at the types of parking lot accidents that occur, how fault is determined, rules, laws, tips to avoid these types of accidents, and answer common questions about parking lot accidents. What Happens If You’re Involved In A Parking Lot Accident In Ontario? Since the accident happens on private property, and not on a public road, many people assume how you should react to a parking lot accident will be different. Contrary to popular belief, parking lot accidents should be treated the same as any other accident. If you are involved in an accident, check to make sure all parties involved are not injured. If they are injured, call for emergency assistance. If the damage is more than the $2000 threshold in Ontario and Alberta, call the police and file a police report. Make sure you exchange information with all parties involved and notify your insurance company. Move your vehicle out of the way of traffic if safe to do so. Approach the other driver to make sure they are okay. Report the accident if the damage exceeds $2000. Take the vehicle to the nearest collision reporting centre if required. Some drivers choose to pay for minor damage out of pocket. 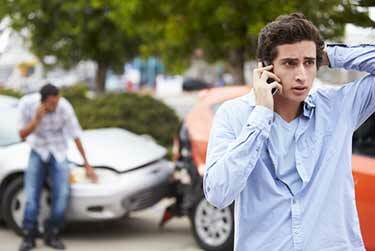 Even if you choose to pay for the damage, you are still required to notify your insurance company about the accident. Who's At Fault In A Parking Lot Accident? Parking lot accident fault is commonly misinterpreted. Just like any other auto accident, fault is determined on a case by case basis. Determining fault in a parking lot accident can be difficult due to the variety of factors in play. Drivers in the traffic lane have the right of way over vehicles exiting parking spots. This is a key factor when determining fault. In some instances, one driver may be solely at fault, and in other situations, drivers share fault. In general, if you collide with a legally parked vehicle, you are to blame for the at fault accident. Anyone who is exiting a parking spot must yield to vehicle driving down the lane. If you disobey a traffic sign and it results in an accident, you will most likely be found to be at fault. These fault determination are applicable in Ontario, Alberta and most other Canadian provinces. Is An Accident In A Parking Lot 50 50? There is a misconception that all parking lot accidents are considered to be 50-50 fault. This is not true. 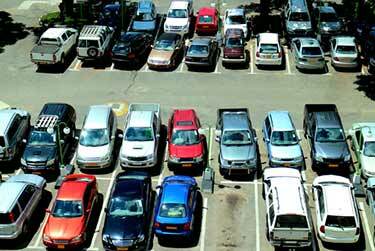 Fault for a parking lot accident is determined on a case by case basis. While some parking lot accidents are difficult to determine fault, its determined based on the details of the accident. A car hits a pedestrian/ cyclist : Pedestrian can pop up out of nowhere in parking lots. They come of out the store, cross through parking spots, get out of their vehicles. If you hit a pedestrian you may or may not be found to be at fault depending on the situation. A moving car hits a stationary vehicle : This is one of the most frequent types of parking lot accidents. You’re backing out of a space or driving into a spot and hit another vehicle. A vehicle hits a stationary object : There are many things you could hit in a parking lot - median, curb, shopping cart, traffic sign, light post. If you hit these, you’ll be 100% at fault. Two cars backing up hit each other : Two vehicles backing out of parking spots at the same time can risk hitting each other. In this instance, both drivers usually share fault. A vehicle backs out of a parking space into another parked or moving vehicle : If you are backing out of a parking spot, you must yield to oncoming traffic. If you hit a vehicle you will be at fault. Two cars competing for the same parking spot collide : In this case, both drivers will have some responsibility for the collision. A vehicles rear ends and other at a stop sign : If you rear end another vehicle, at a stop sign, or other areas within the parking lot, you will most likely be at fault. Pay attention to your surroundings, watch your speed, and drive safe. Does A Parking Lot Accident Go On Your Driving Record? Yes. A parking lot accident is treated the same as an accident anywhere else. If reported, it will go on your driving record and it could impact your insurance rates. For this reason, many drivers choose not to report parking lot accidents. If you hit another vehicle : What many people do not realize is if you hit a vehicle in a parking lot and leave the scene, you could be charged with a hit and run. If your vehicle was hit by another vehicle : If your vehicle is hit by another vehicle in a parking lot you will not be found at fault. If no note was left you can call the police and file a report. Police may or may not be able to track down the other driver. What To Do If You Are Involved In A Hit And Run Car Accident In A Parking Lot? If you hit another vehicle in a parking lot and the other driver is not present, see if you can find the driver. If you cannot locate the driver, leave a note on the driver’s windshield. Provide them with your contact information so you can sort out the details. This will help you avoid a potential hit and run charge. It’s also good karma. You’d want other drivers to leave a note if they hit your vehicle. Obey all traffic signs in parking lot areas. When exiting a parking spot, you must yield to traffic. Drivers in the main lane entering the parking lot have the right of way. If you back into a feeder or main lane and hit a vehicle, you will be at fault. If you back into an open door of a parked car, the driver of the parked car is typically at fault. If you hit a legally parked car, you are at fault. If you hit an illegally parked vehicle, the illegally parked vehicle is commonly at fault. If you open your car door and hit another vehicle, you are at fault. Avoid distracted driving : Pay attention to your surroundings at all times. Put your phone down. Cars and pedestrians could cause you to make a sudden stop at any time. 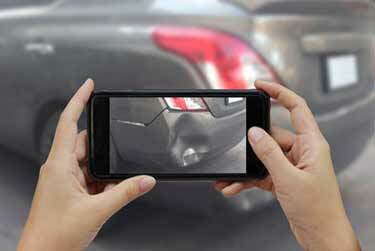 Don’t blindly trust your backup camera : backup cameras have become a popular device in vehicles. Use them as an aid, not your only viewpoint when backing out of a parking space. Check your blind spots, and then check them again : Always check your blink spots, and perform shoulder checks as you change directions and move in or out of a parking spot. Proceed with caution : Keep you head on a swivel. Always proceed with caution when driving down parking lanes, close to storefronts, and when entering and exiting parking spots. Slow down : Keep your speed down. Drive within the posted speed limit. Follow all traffic signs : Traffic signs in parking lots are not optional. Park in less busy areas : Avoid highly congested areas of the parking lot. Park at the back of the lot and walk. 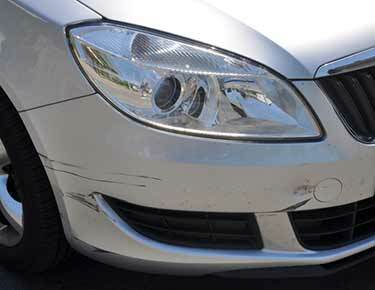 Parking lot accidents are treated just like any other type of accident by insurance companies. They use the same rules to determine who the cause of the accident is and parking lot accidents can impact your car insurance rates if you are found to be at fault. Do I have To Notify My Insurance Company About A Parking Lot Accident? Yes. Just like any other accident. You should always notify your insurance company if you are involved in an accident in a parking lot. You are required to report all accidents to your insurer, even if you plan to pay for the damages out of pocket. How Many Accidents Occur In Parking Lots? It’s estimated that approximately 20% (1 in 5) of all car accidents happen in parking lots. Is A Parking Lot Accident in Alberta Treated The Same As In Ontario? Yes. Treat any parking lot accident in Alberta, or any other province as you would any traffic accident. Call for help if someone is injured, file a police report if damage exceeds $2000, and notify your insurance company as soon as possible. What Is Parking Lot Accident Fault If Are Both Backing Up? In this instance, both parties are commonly found to have some fault in causing the car accident. The percentage each driver is found to be at fault will depend on the details of the situation. What Do You Do If You Hit A Car In The Parking Lot? Follow the same process as you would if you had an accident in the road. Do your best to locate the driver if they are not present. Leave a note with your contact information. 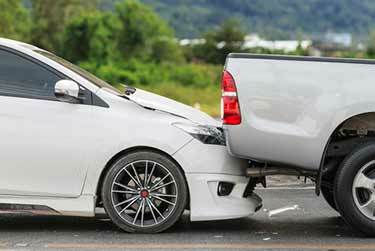 Can You Claim For Car Accident On Private Property? Yes. You can file a claim for a car accident in a parking lot. Parking lot accidents are treated the same as other types of traffic accidents. Do My Insurance Rates Go Up If Someone Hits My Car? It depends. If you are not at fault, your car insurance rates will not be impacted. If you are at fault, your rates will likely increase.